Blue State Coffee Latte Throwdowns: Round #44 - Winner! Congratulations to Nate DeRuvo for winning the July 2012 latte art contest! 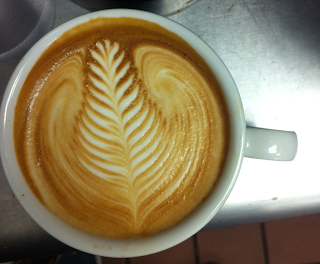 Excellent symmetry and full use of the cup make this latte the pour of the month.